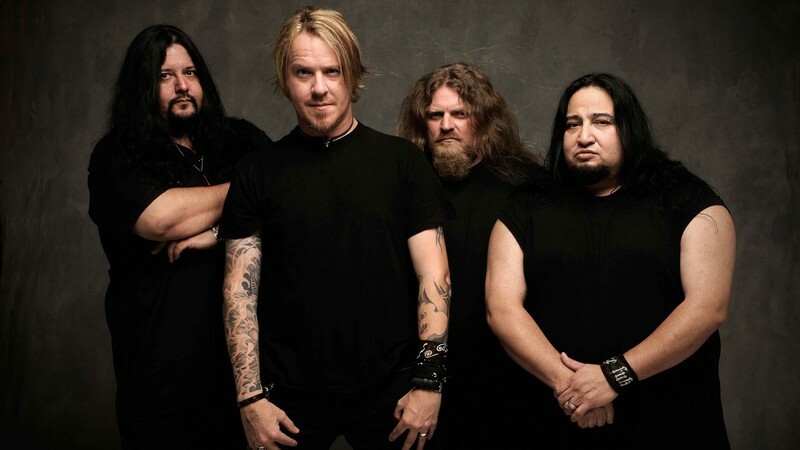 Fear Factory is an American heavy metal band that was formed in 1989. During the band's career, it has released nine full-length albums and has evolved through a succession of styles, including industrial metal, death metal, groove metal, and thrash metal. Factory was enormously influential on the heavy metal scene in the mid-to-late 1990s. Fear Factory disbanded in March 2002 following some internal disputes, but reformed later that year without founding member Dino Cazares, adding bassist Byron Stroud, and previous bassist Christian Olde Wolbers as guitarist. In April 2009, a new lineup was announced. Cazares returned as lead and rhythm guitarist, and Gene Hoglan as drummer. Bell and Stroud reprised their respective roles, and the band completed a seventh studio album titled Mechanize. Former members Christian Olde Wolbers and Raymond Herrera — both of whom were playing in Arkaea — disputed the legitimacy of the new lineup, and a legal battle from both parties was begun. Fear Factory released its eighth studio album, The Industrialist, in June 2012. Their latest album, Genexus, was released in August 2015.